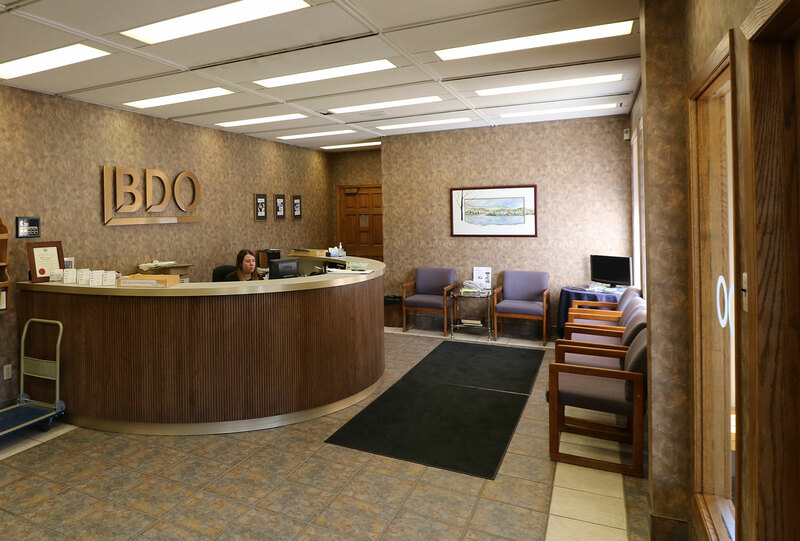 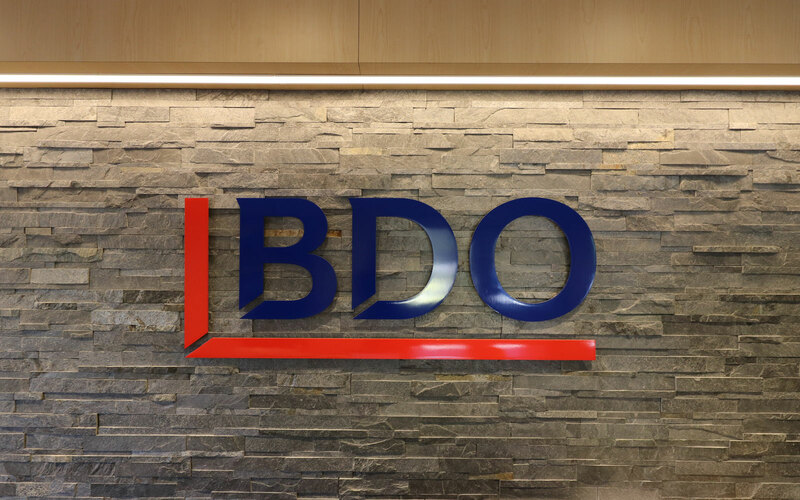 BDO Thunder Bay approached our firm with a desire to do away with the dated character of their large office space, and to create a forward thinking, functional and healthy work environment. 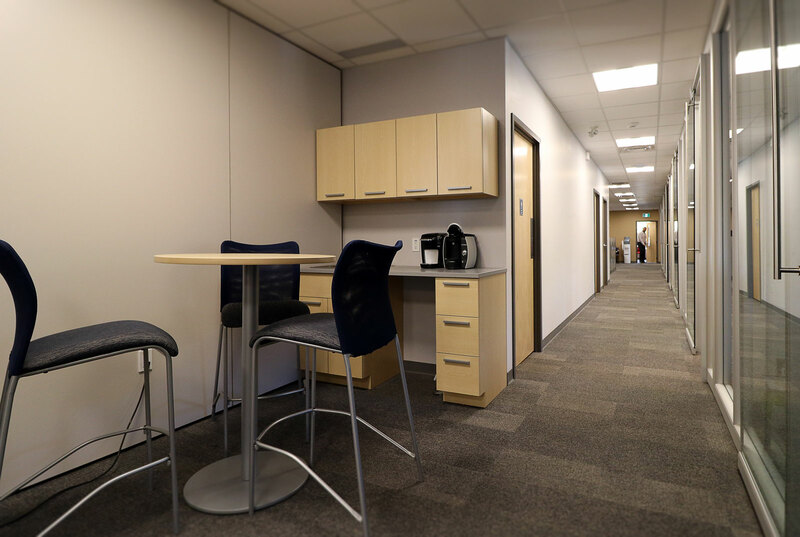 The renovation was completed in stages to allow the continued use of the office space while the renovations were being undertaken. 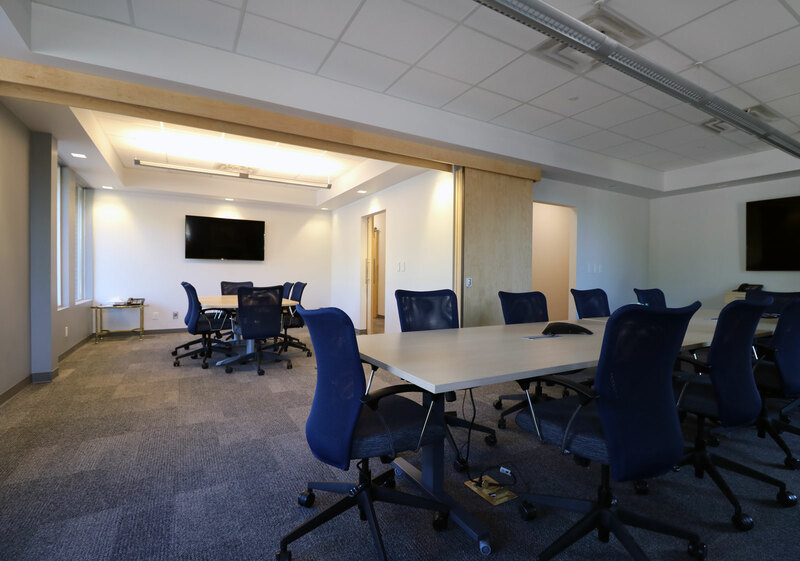 Staff were shifted from their former work space into shared workspaces and then moved into newly renovated office space as each stage of the project was completed. 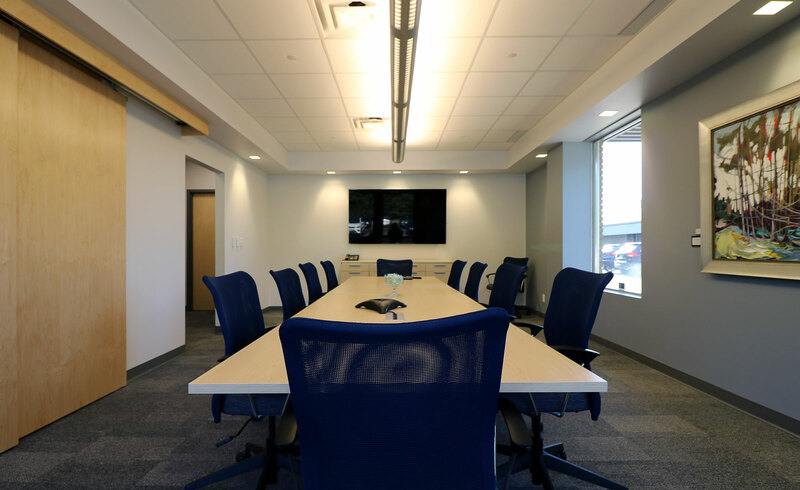 Through the use of LED lighting and glass partitions it has allowed the space to capitalize on the natural light and views throughout the office – reducing their reliance on artificial lighting and improving the atmosphere of the workplace. 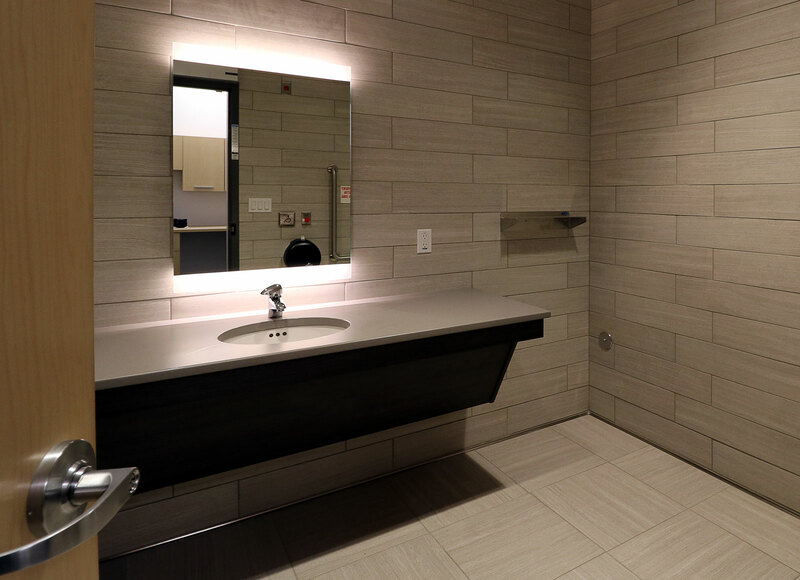 Lighter natural wood accents and cool neutral hues provide a calming, modern style that was developed in sharp contrast to the buildings original and dated decor. 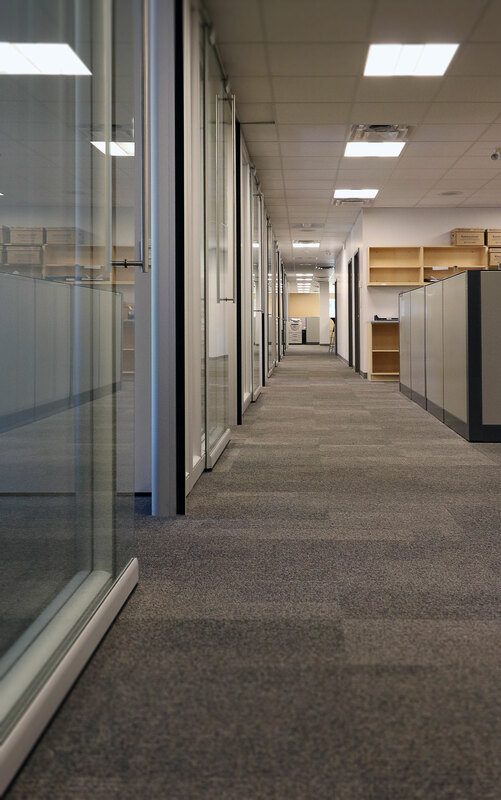 The openness of the office interior had to be balanced with attention to privacy and acoustics as well as allowing for a flexible use of space, security and good workflow.